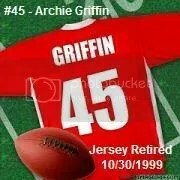 Here are all the retired Ohio State football jersey numbers and the dates in which they were retired. 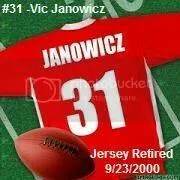 Ohio State has since announced there will not be any additional numbers retired. Hence the reason #10 has not been retired for the only Heisman Trophy winner not to have his number retired, Troy Smith. In 1902 the Buckeyes suffered their worst defeat, to the team up north no less, 86-0. On the train ride home, player Fred Cornell wrote “Carmen Ohio” while the teams heart strings were being tugged upon due to the loss. 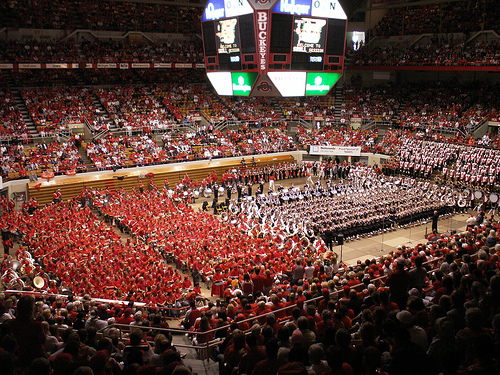 In 2001 the tradition was started where the entire team stands facing the band following the home games and sings the alma matter song. 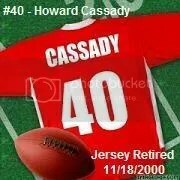 It is quite the powerful sight sending chills down the spine of every Buckeye fan, especially folling a huge win. Summer’s heat or winter’s cold. 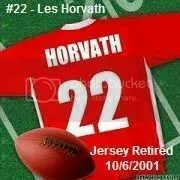 Buckeye Leaf Helmet Stickers – How do the player’s get them? Ok, here it is, a labor of love. This list took me about 8 hours to compile and put in a usable format. But, I think it will be an informative and entertaining resource. People still mistakenly call them just Buckeyes when in all actuality they are Buckeye leaves. The team uses black color leaves not green as they are commonly mistaken for. Below is Tressel’s award criteria list. If you click on the picture it will bring up a larger more readable version of this list. Enjoy! 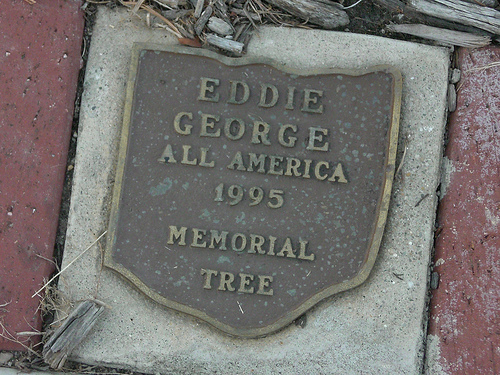 Founded in 1934, Buckeye Grove is in honor of all the first team All-Americans. Each player that has won that honor recieves a Buckeye tree planted in the grove in their honor which includes a plaque along the walking path, with their name and honorary winning year. The grove was originally located on the east side of the stadium, but was moved to the rear corner as part of the expansion renovation in 2001. There are over 125 players in the grove. 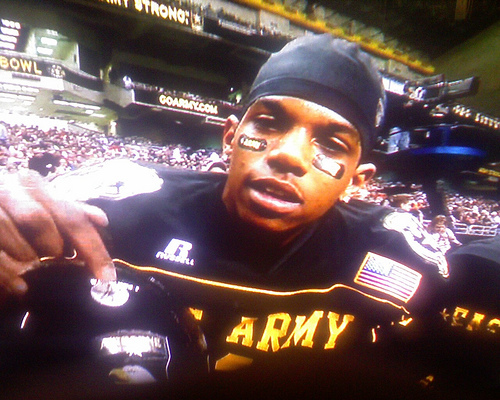 Each year that there are new players they are added during a pre-game ceremony prior to to the annual spring game. The year was 1968 — that much of the story we know. 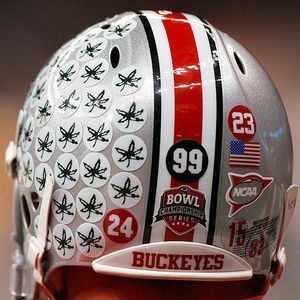 According to Ohio State lore, the Buckeyes were on the cusp of a championship campaign when longtime trainer Ernie Biggs conceived of the idea of awarding players helmet stickers resembling buckeye leaves, presumably for motivational purposes. 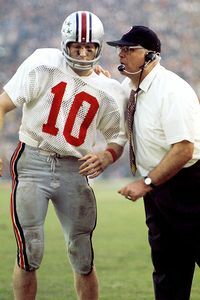 Coach Woody Hayes embraced the idea and, 40 falls later, sticker-cluttered helmets across the country reveal that Biggs’ brainstorm has, well, stuck. 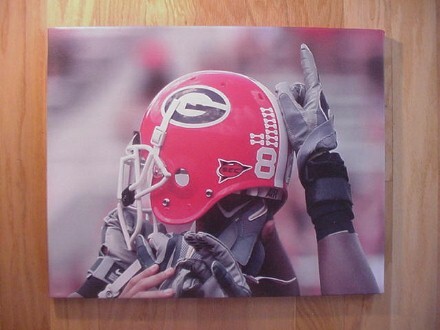 It’s the time of year when dog bones are appearing on Georgia’s helmets, paw prints on Clemson’s and tomahawks on those of Florida State, just to name a few. But it all started with those buckeye leaves. Which begs the question: why? The exact reason has been lost, perhaps in a cloud of dust, to history. “Woody was always trying to get that extra motivational edge,” proposed Rex Kern, OSU’s quarterback during that magical fall of ’68. In all likelihood, Hayes and Biggs reasoned that rewarding great plays provided incentive for more of the same. 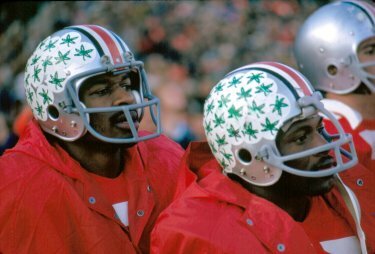 That rationale remains, yet like the Buckeyes’ uniforms, there have been some subtle changes to the tradition over the years. Visibly, the stickers themselves have been reduced in size, and the criteria for receiving a buckeye has been considerably refined. Coach Jim Tressel favors a teamwork approach over an individual-based award system, which means that touchdowns and interceptions no longer necessarily guarantee a coveted sticker. Big plays are now solely considered such at Tressel’s discretion. Every team member, however, receives a buckeye for each OSU win, plus an additional sticker for Big Ten victories. Entire units are eligible if they meet certain criteria. If the Buckeyes’ defense, for example, racks up at least five three-and-outs, each member receives a sticker. The Buckeyes’ offense, upon executing 10 plays which gain 12 or more yards, is rewarded similarly. Individually, players accrue buckeyes by meeting the film-grade standards set for each position by the coaching staff. Linemen must grade out at 80 percent to receive a buckeye. Standards for linebackers and skill positions (such as running backs and defensive backs) are more stringent, requiring grades of 85 percent and 90 percent, respectively. Special teams also figure prominently in the buckeye breakdown. 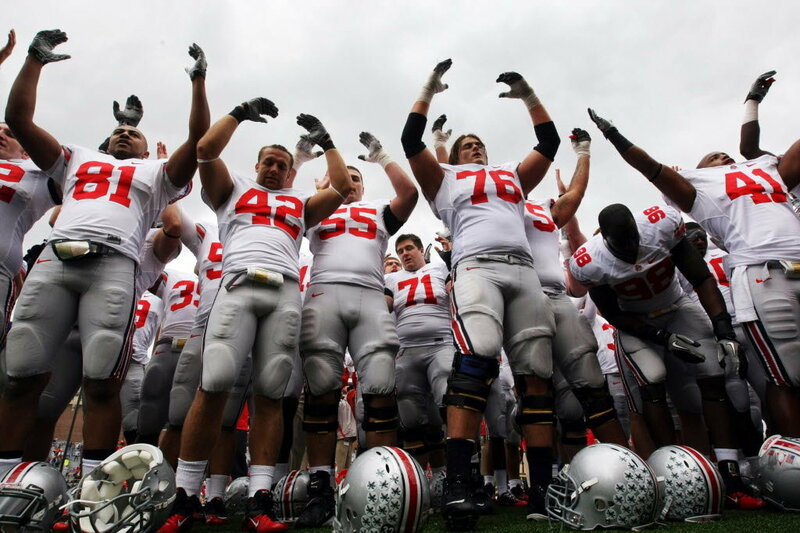 Causing and/or recovering a fumble will earn a member of the punt or kickoff teams a buckeye. Successfully blocking a kick or converting a fake field goal also nets the unit a sticker. Kick a field goal from 45 yards or beyond? You guessed it — one buckeye. Perhaps the most notable change from the Hayes era is the manner in which the stickers are distributed. Hayes was notoriously stingy with the leaves, so when it came time to award them, it was “a major production,” Kern recalled. A player was called up before the team during the Monday meeting, presented his buckeye leaves and slapped on the shoulders by a beaming Hayes. Of course, what the famously mercurial Buckeyes boss giveth, he could — at least theoretically — taketh away. 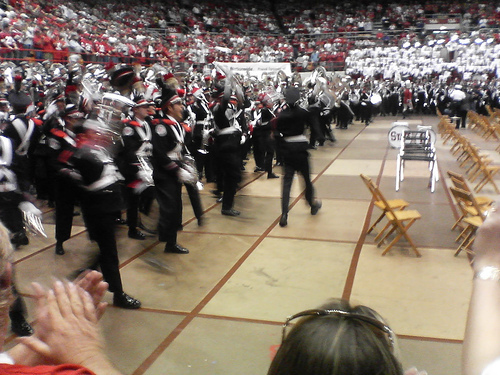 “In true Woody Hayes fashion, he threatened to take [the buckeye leaves] away,” Kern said. “We thought it was tongue-in-cheek, but you never really knew”. According to current equipment manager Lewis VanHoose, Tressel eschews Hayes’ Patton-esque theatrics. After the Sunday film review session, the coaches provide VanHoose with a master list detailing the number of buckeyes to be awarded that week. With little fanfare, he then painstakingly places the stickers on OSU’s shimmering silver helmets by hand. 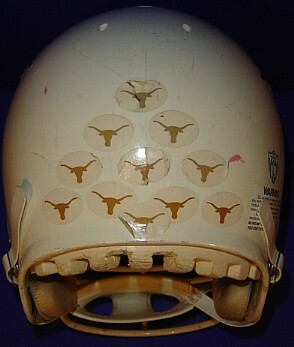 As the season progresses, there is less and less space on the helmets; VanHoose estimates that one side of a helmet can hold approximately 35-40 stickers, a good half-season’s work for a solid player on a talented team. And there’s even less room for counting errors. The players, who scrutinize VanHoose’s handiwork with keen eyes, don’t need the board in the auxiliary lounge to keep track of how many buckeyes they have. That off-field competition for buckeye leaves continues to spur on-field production, just as Biggs and Hayes intended 40 years ago. 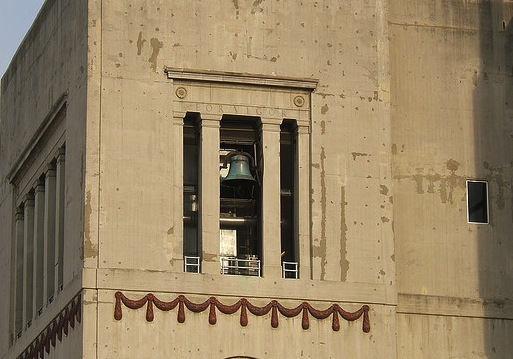 While one story unfolds in the Los Angeles Coliseum on Saturday night when Ohio State faces USC, another will peel, unpretentiously, into its fifth decade inside the equipment room back in Columbus on Monday morning.